I wore a button down top from Lee Cooper that has subtle girly details like slightly puffed sleeves and printed asterisk polka dots with a box pleat flare skirt. I love how white bottoms always elevate an outfit. I'm not huge on fashion rules but I know navy and black is always a colour combination avoided by many. Honestly, i'm fine with navy and black but of course, they are a bit boring and expected. I'm still looking for my perfect white pants - so keep me posted if you found any! 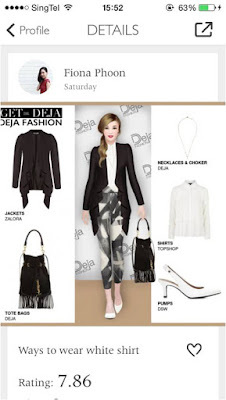 If you were a fan of Polyvore, you’d be happy to know that there’s a new fashion app going around – Deja Fashion! 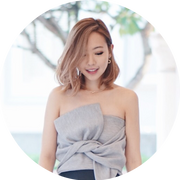 Like Poly­vore, you can style outfits and shop right from it. 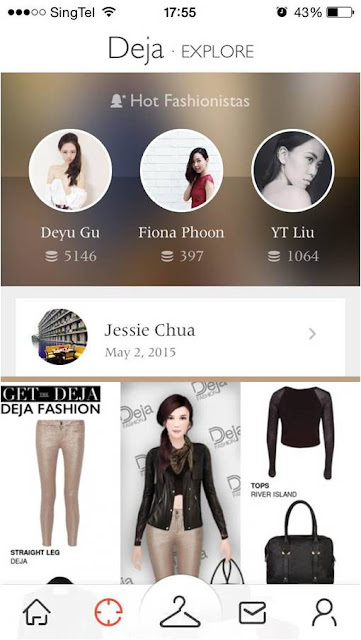 On this app, there’s a model/ virtual mannequin which can try out the clothes for you. 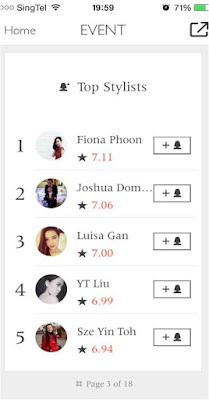 What’s really fun is you can simply customise the model for every outfit and make it look like you – switch off the hairstyle, make-up and even skin colour. 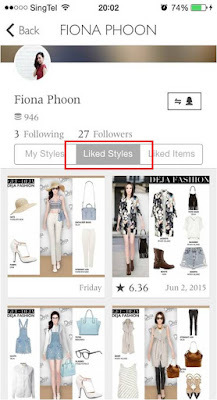 You can also browse your friends or other users’ creations and shop their outfit. Like certain items or styled outfits to save it for further inspiration. I also use such styling events as a form of inspiration for myself. 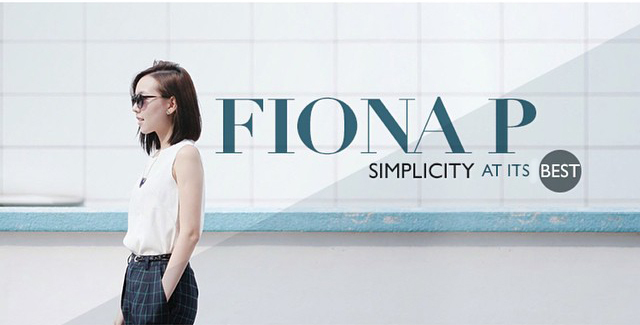 Two recent events were for styling a white shirt and going for a classic look. I styled the following two looks for future references. These are two outfits that I would actually wear for myself so when the time comes when I have no idea what to match a white shirt with, I can check back on this and also see what other have styled their white shirts with. Drawing inspiration from a style event which includes styling a kimono, I styled my outfit around a white kimono last weekend! 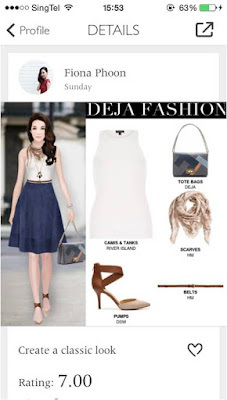 If shopping and styling isn’t fun yet – Deja makes it way better. 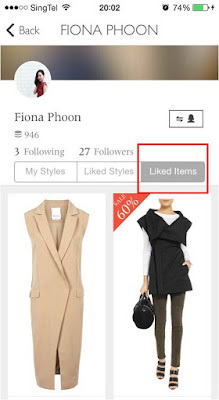 So join me and discover your style (or check out what I like)! You can find my profile under the ‘Explore’ tab. 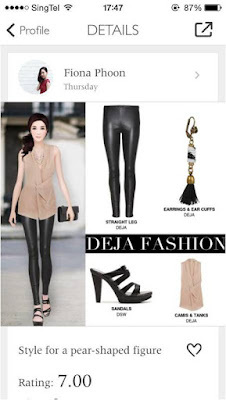 *This entry is brought to you in partnership with Deja Fashion.